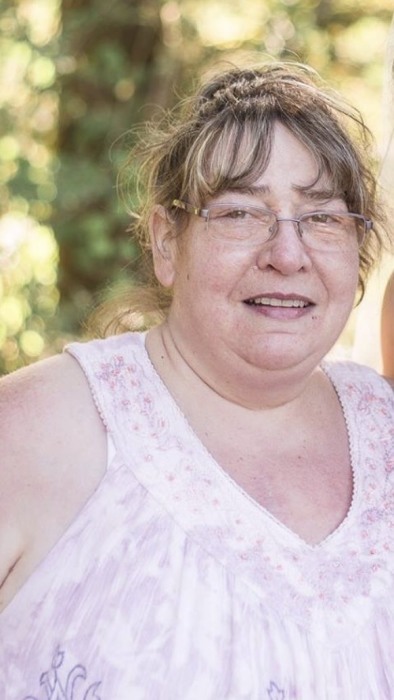 A memorial service for Rhonda Lee Morris, 53, of Coos Bay, will be held at 2pm, Saturday, April 6 at Coos Bay Chapel, 685 Anderson Avenue in Coos Bay. Rhonda Lee Morris, daughter of Norman and Margie (Nielsen) Nicholas, was born on June 28, 1965 in Portland, Oregon. After a short fight with heart failure, she passed away at the age of 53 on Wednesday, March 20, 2019 at Oregon Health and Science University. Rhonda grew up in Coos Bay and was a Marshfield High School graduate of the class of 1983. She married Kenneth Morris on December 28, 1985 and together with her daughter Alesia, born in 1984, they started a family. They welcomed another daughter, Amanda in 1987, and a son, Andrew, in 1991. Rhonda had a love for children and ran a very successful child care business out of her home for many years. She lived a colorful life and by perseverance, she overcame many obstacles. She had dedicated herself in the last decade to her four grandchildren. Rhonda was an avid rock collector and a wonderful gardener. She enjoyed being in the wilderness and had a creative eye for arts and crafts. Rhonda is survived by her partner, Gabe Smith; parents, Norm and Marge Nicholas; children and their spouses, Alesia and Bob Devereux; Amanda and Kayl Snow; A.J. and Karina Morris; grandchildren Evalee, Haylee, and Trenton Van Leuven; and Maya Morris; brother, Ronald Nicholas; and many other relatives and friends spread throughout the Pacific Northwest. She is preceded in death by her grandparents, Marion and Iola Nicholas; grandmother, Fay Nielsen; and fiancé, Tim Thornsberry. Friends and family are encouraged to sign the online guestbook.